A new bar and traditional American spot has made its debut in the neighborhood. Called Crawford's Food and Spirits, the new arrival is located at 3938 W. School St. (between Milwaukee Ave & Harding Ave) in Avondale. This newcomer specializes in pub-style fare with items like burgers, sandwiches, salads, and more. On the menu, look for a sandwich with slow-braised carnitas, bacon, and ham topped with chipotle wine sauce; a mac and cheese grilled cheese sandwich; a hand-crafted burger with white American cheese; and a "Surf N' Turf" burrito with steak, shrimp tempura, crab mix, avocado, and mozzarella. Crawford's Food and Spirits has garnered rave reviews thus far, with a five-star rating out of six reviews on Yelp. Paige W., who was among the first Yelpers to review the new spot on December 21st, said: "From the moment we saw the front of this establishment, we could tell right away that this place will be the place to be...Come to Crawford's for the food and drink, stay for the warm atmosphere, comfortable local neighborhood location and great staff. " 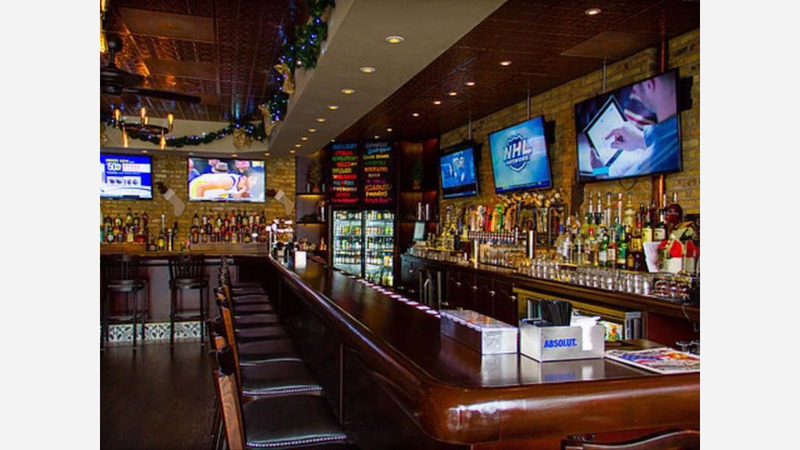 Yelper Ken E. added: "Excellent local sports bar that has amazing food. Already been here a couple times since they opened." And Michael W. said: "Finally a clean and legit bar that serves food near me. Went in for the first time today. Great bar with plenty of TVs." Interested? Stop by to welcome the new business to the neighborhood. Crawford's Food and Spirits is open Saturday from 11am-3am, and Sunday-Friday from 11am-2am.